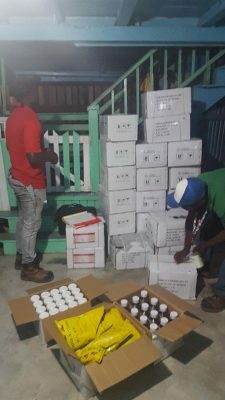 Inspection and Enforcement Officers of the Pesticides and Toxic Chemicals (Control) Board (PTCCB), in collaboration with the Guyana Police Force, on Sunday last thwarted what was described as a major smuggling operation and confiscated approximately 300 kilograms of illegal or unregistered pesticides. 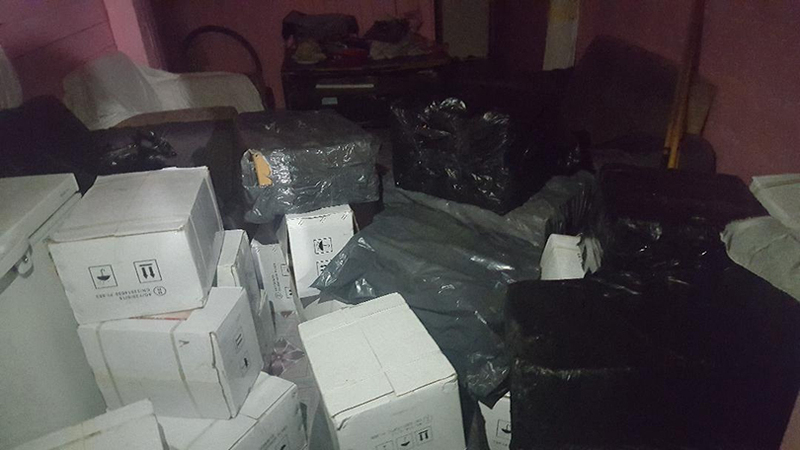 A release from the PTCCB said that the operation which took place at approximately 11 pm, saw inspectors of the authority along with officers of the Guyana Police Force, descending on the home of Veerasammy Armogan of Crabwood Creek Backland, Grant 1779 Corentyne, Berbice where the illegal pesticides were found among other contraband items. According to officials from PTCCB, the confiscated items are regarded as highly hazardous pesticides and pose significant risks to human health and agricultural production. Registrar of the PTCCB, Trecia Garnath said that the Board strongly condemns acts of this type given the major health and environmental impacts these chemicals pose. “The global trade in counterfeit and illegal pesticides is growing. With increasing quantities of fake and illegal pesticides being produced, marketed and sold by organized criminal groups around the world, there are greater risks to the safety of handlers, farmers, consumers and the environment,” Garnath said. The release said that legal proceedings have started against Armogan over the possession of illegal/unregistered pesticides with intent to distribute, sell or use. The PTCCB is also currently investigating other intelligence gathered to curb the illegal trade of counterfeit pesticides into Guyana. Counterfeit and illegal products are neither tested nor evaluated and are not subjected to the legislative regulatory processes, the release added. It said that these products often contain chemicals which are either banned or restricted due to the risk they pose to human health and/or the environment.